Egypt announced on April 10 that it will hand over two Red Sea islands to Saudi Arabia—and Egyptians are not happy about it at all. 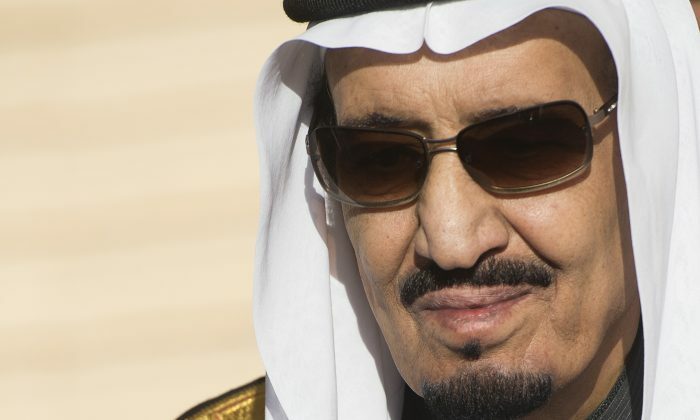 After a five-day visit to Egypt, the King of Saudi Arabia is going back home with the two islands, Egypt’s way of showing gratitude to the Saudis for their economic aid to Egypt. Some critics said the move is a sell-off to the oil-rich Saudis at a time when Egypt is struggling economically. According to Egypt, the reason for transferring the islands is because it belonged to Saudi Arabia in the first place. A team of Egyptian experts concluded that islands Tiran and Sanafir are inside the Saudi territorial waters. Egyptians were taken by surprise. Some critics said the move is a sell-off to the oil-rich Saudis at a time when Egypt is struggling economically. Others claimed that President Abdel-Fattah el-Sissi was running the nation without transparency or accountability. “The government surprised 90 million Egyptians with a decision that we grew up accustomed to its opposite. That’s what made it worrisome and horrifying,” author and analyst Ibrahim Eissa said on his TV show about the move. Many went on social media to denounce the transferring over of the islands. On twitter people posted on hashtags #Egyptissold and #Awadsoldhisland to show their disapproval. “Here, here, Pasha, one island for a billion, a pyramid for two and I will throw two statues on top,” Egypt’s best known political satirist, self-exiled Bassem Youssef, posted on Twitter. Meanwhile, the pro-el-Sissi media has strongly defended Saudi Arabia’s claim to the territories. “Egypt has not surrendered a single square inch of its territory under any condition,” state newspaper Al-Ahram said on April 11. It will be unreasonable to deny our brothers their right to holding on to their own territory when all documents prove their ownership. “But it will be unreasonable to deny our brothers their right to holding on to their own territory when all documents prove their ownership,” it added. The move must be confirmed by the country’s parliament, a 596-seat chamber, most of them supporters of el-Sissi. Their adoration for Saudi Arabia was shown when King Salman addressed the legislature. His speech was repeatedly interrupted by applause and he also received a standing ovation. Lawmakers also recited poetry praising the Saudi royalty. In the meantime, a renowned rights lawyer and a former presidential candidate, Khaled Ali, has taken legal action against Egyptian-Saudi agreement. He filed a case demanding that the move be annulled on the grounds that it violates Egypt’s constitution.